Fascia is the main connective tissue in the body. It surrounds every cell, muscle, bone, nerve and blood vessel, creating a three-dimensional web which spreads from head to toe. 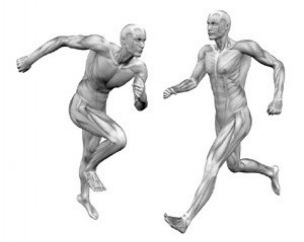 Myofascial release is a form of bodywork that aims to release areas where the fascia maybe tight or stuck. The techniques are applied slowly to allow the fascia to soften, lengthen and release. The practitioner will apply a steady, gentle pressure into the tissues, and then slowly start to stretch the tissue, gently holding it until a release in the tissues is felt. The techniques are not usually painful, but sometimes a mild burning or heat may be felt as the fascia releases.